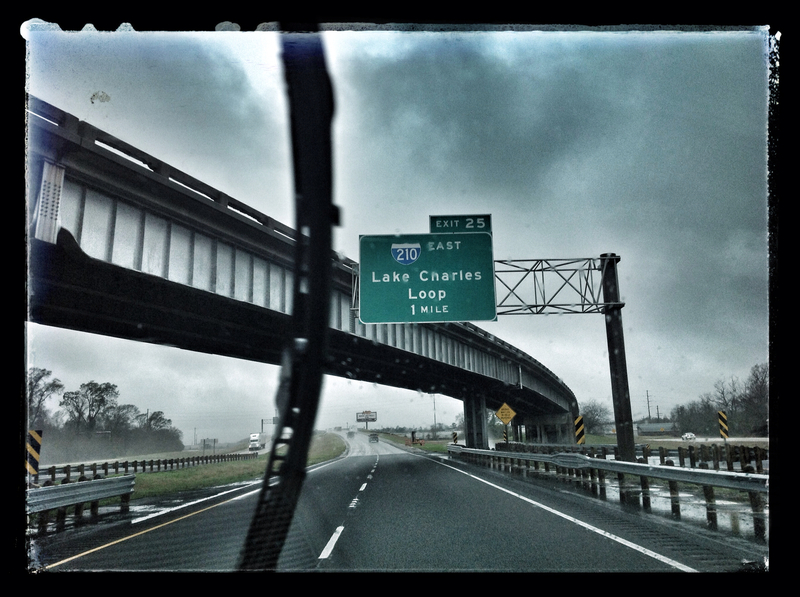 Today we went through Lake Charles La, and to most it is probably just another swamp city, but to me it is the scene from one of my favorite documentaries - Blue Vinyl. 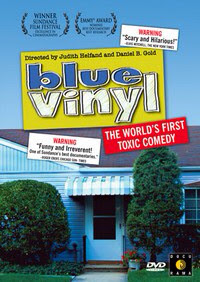 Blue Vinyl is a "Toxic Comedy Domentary" about the life of vinyl and how horrible vinyl is on our enviroment. After watching the film about 10 years ago, I started making my students watch it and write a personal essay based on the ideas in it. The movie is a great way to get them thinking critically about how the products they buy effect their lives, the lives of others, and future lives. As we drove through town, we came up on the factory. Using the walkie talkies, I radioed ahead for everyone to hold their breathe, so no one breathed in the toxic fumes as we drove through the smog. As a second thought, I got out the camera and tried to photograph the plant but I was too late. On this cold Jan. afternoon I am reminded about the message from the movie, and remember that big business isn't looking out for anyone. 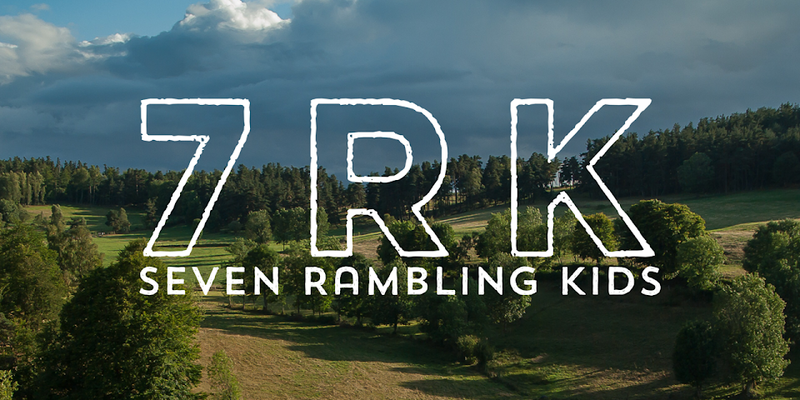 It is up to us to be vigillant about consuming ethical products. "Blue Vinyl is a 2002 documentary film directed by Daniel B. Gold and Judith Helfand. With a lighthearted tone, the film follows one woman's quest for an environmentally soundcladding for her parents' house in Merrick, Long Island, New York. It also investigates the many negative health effects of polyvinyl chloride in its production, use and disposal, focusing on the communities of Lake Charles and Mossville, Louisiana, and Venice, Italy. Filming for Blue Vinyl began in 1994" (Wiki).